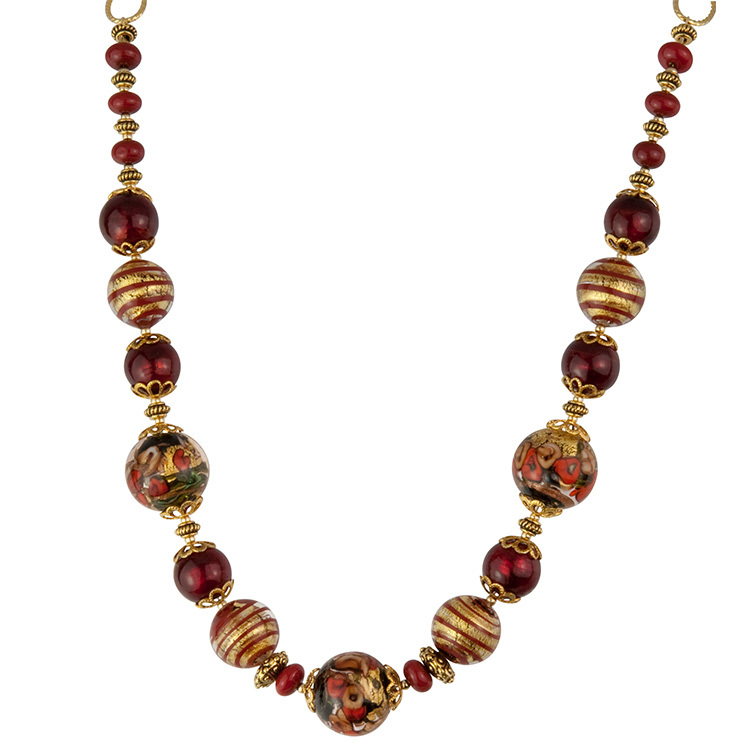 This colorful Rich Reds highlighting the beauty of authentic Murano Glass. 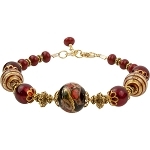 The focal bead is studded with lampwork red roses against a base of black. The striped Red is against a base of Crystal encasing 24kt Gold Foil. Length: 20 Inches (51cm) with a 2 1/2 Inch Extension (6cm).